"Unwind during your visit in this chic salon." In 2009, Fiorella Galella opened Salon Jofi. With over 30 years of experience, Fiorella brings with her a commitment to providing Clients great quality work through skill, innovation and creativity. Customer service remains at the core of Fiorella's vision for the salon and the underlying mission for the business is simple: build long term relationships with Clients through quality work; offer a comfortable, welcoming and relaxing environment and ensure the team behind Fiorella believes as strongly as she does that Client satisfaction always comes first. 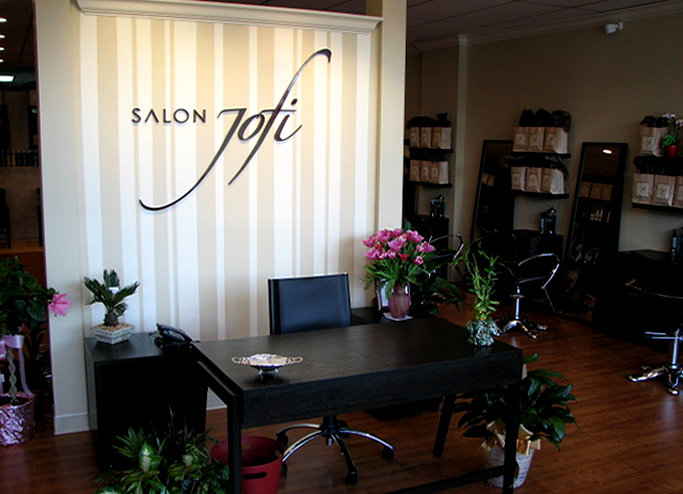 We hope you’ll come and experience Salon Jofi for yourself sometime soon. The team looks forward to meeting new friends as much as they love servicing the many long-standing Clients who visit the Salon regularly. © 2011 Salon Jofi, All Rights Reserved. Unauthorized duplication is prohibited.